*You will need a good audio recording application such as Audacity (free). 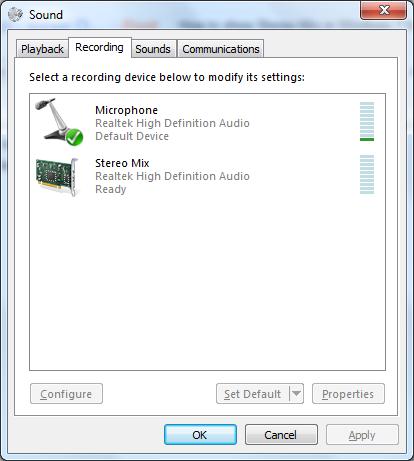 To display the Stereo Mix "device" in an Alienware M11x R2 you need to reinstall the original driver from the manufacturer, since Windows probably already updated the driver to its own version which doesn't support this functionality. *I didn't need to do that, 6.0.1.6083 worked. *Actually you first need to right click the list, make sure the disabled devices are being displayed, and then right Stereo Mix to Enable it first. 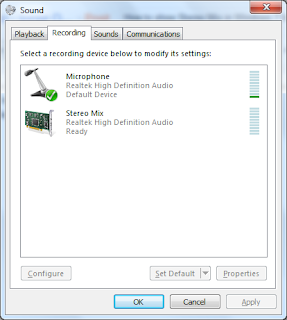 Now Stereo Mix should be listed when selecting a recording device in your audio software :) Happy recording!